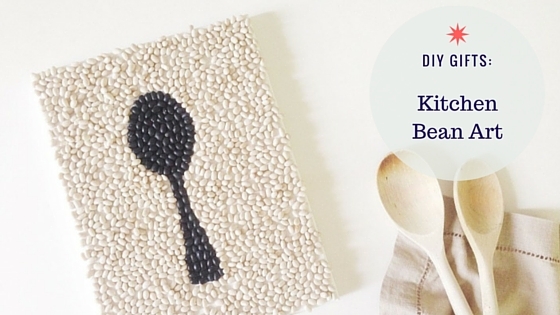 Maybe the last thing you think of when you see dried beans is art, but they do make for a fun and different craft project. Glue them on a canvas and you’ve got an easy way to add some life to your kitchen walls! Also dried beans are really inexpensive. 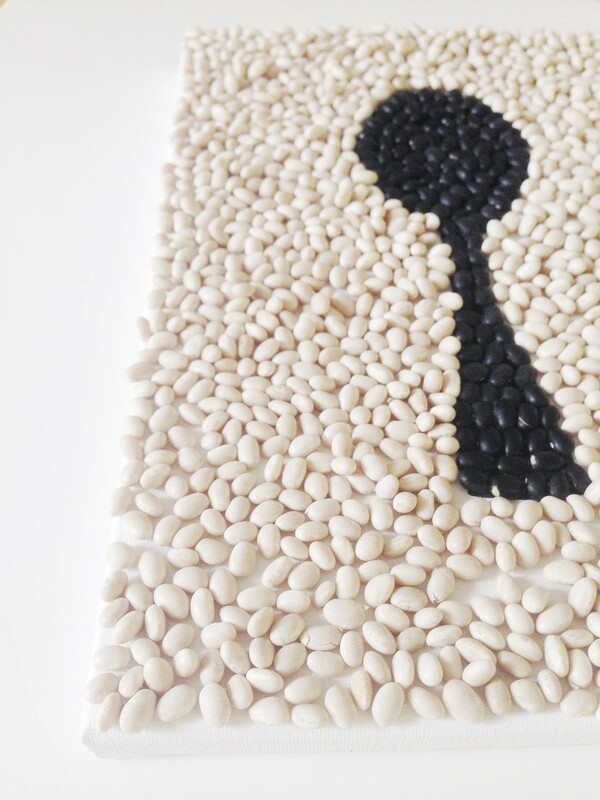 Head to a craft store with a coupon for your other supplies and you’ll end up with a pretty frugal DIY bean art gift. 1. You’ll first need to decide what picture you’d like to create with your beans. I decided on a spoon so it would work well in the kitchen, but you can do whatever you like depending on the room it will be in. 2. 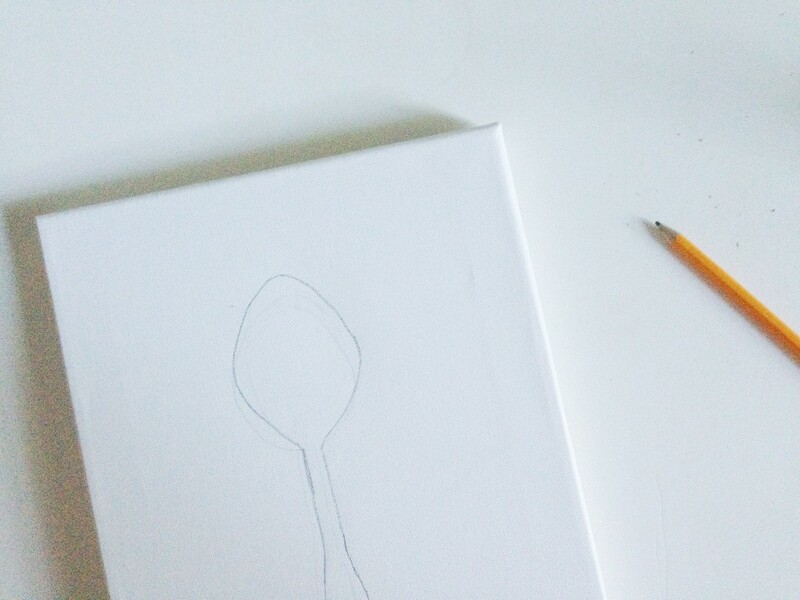 Using a pencil, draw an outline of the picture you’d like to create. 3. 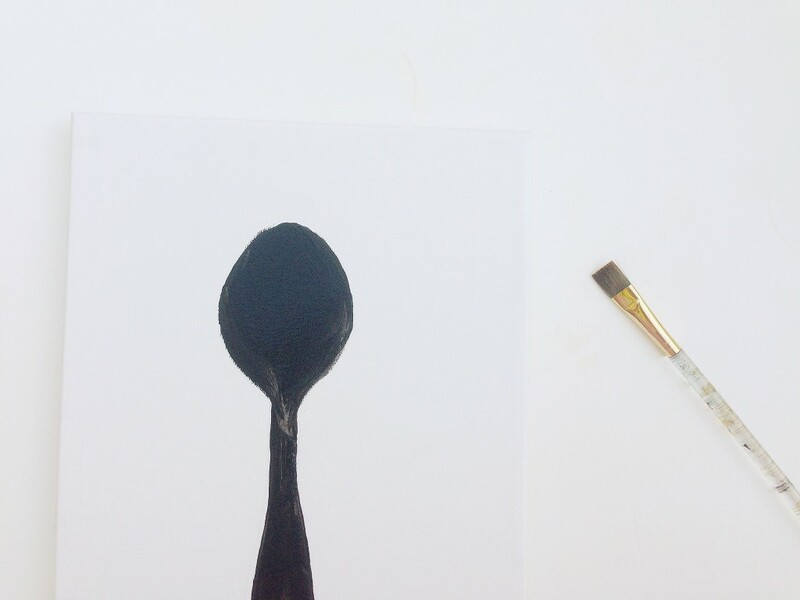 Using a paintbrush, fill in the pencil outline with black paint. This will prevent the white canvas from showing through the spaces around the black beans when the glue dries. 4. Once the black paint dries, squeeze some glue onto the black section and begin filling in the area with black beans. I worked in sections and placed the beans one at a time. 5. Next you can begin with the white section. 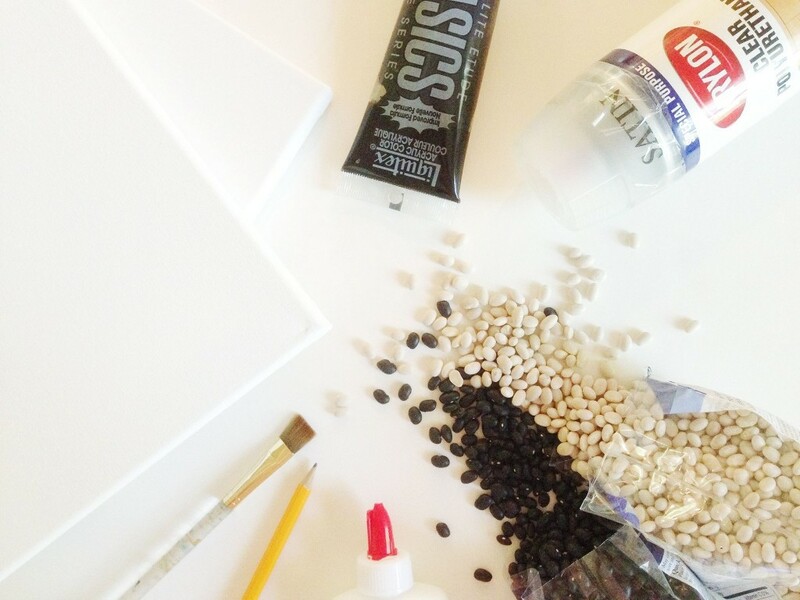 You can either use the same method you did with the black beans and work in sections or you can cover the rest of the canvas with glue using a paintbrush and sprinkle the white beans on. If you use the second method, just make sure to fill in any big holes with beans afterward (I will say that I, at first, worked in sections and quickly got impatient; that’s how I discovered the second method…). 6. Once the glue is completely dried, spray a coat of clear sealant spray over the top. See more DIY Christmas ideas!